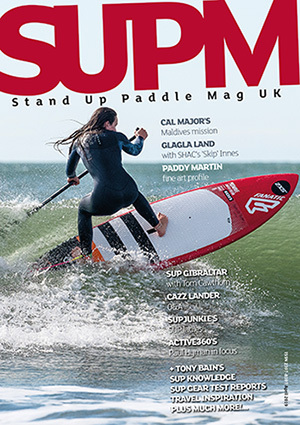 New out on UK tarmac this year are Hamboards land SUP offerings. 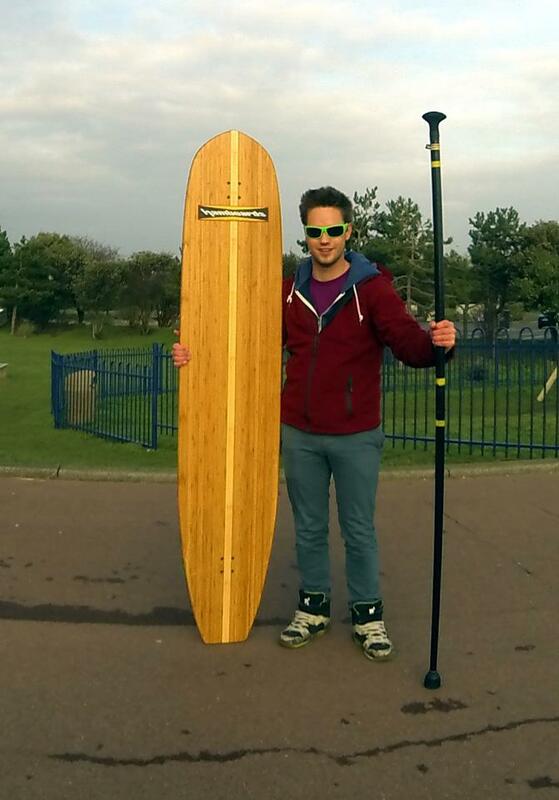 Following the increasingly popular land paddling explosion, Hamboards produce some amazing products. Reviewed here are the two biggest in the brand’s six board range – the Classic 6’6’’ and Pinger 5’7’’. That’s right, they’re BIG! Classic 6’6”: The name says it all – this board is big and a classic to ride. 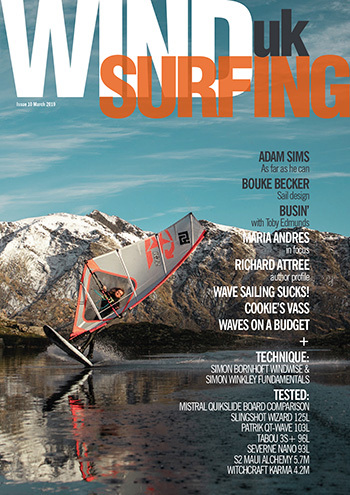 The weight is intentional, increasing the board’s momentum – it wants to cruise and never stop! With the supplied Original trucks, raising the board higher than anything else out there, it’s a relaxing feeling rolling down the street. A super loose setup means you can perform tight bottom turns and the wide 15’’ deck allows a real walkabout, surfy experience. Lots of brands have tried to create this ‘surf’ feeling and Hamboards have really nailed it. The small flex in the deck helps with confidence when attempting new footwork, nose riding or trickier moves, along with slides, which are easily possible. Pinger 5’7’’: A real 70s blasting board, the Pinger was designed to recreate the feeling of surfing bigger waves on land – more speed = more power. The shorter and more responsive feel, compared to the Classic, is extremely rewarding. You really feel you’re riding a barrelling wave or about to complete a perfect swooping bottom turn on this board. Its pulled in nose and tail are the main differences from the bigger Classic. This makes nose or tail riding that bit more challenging. 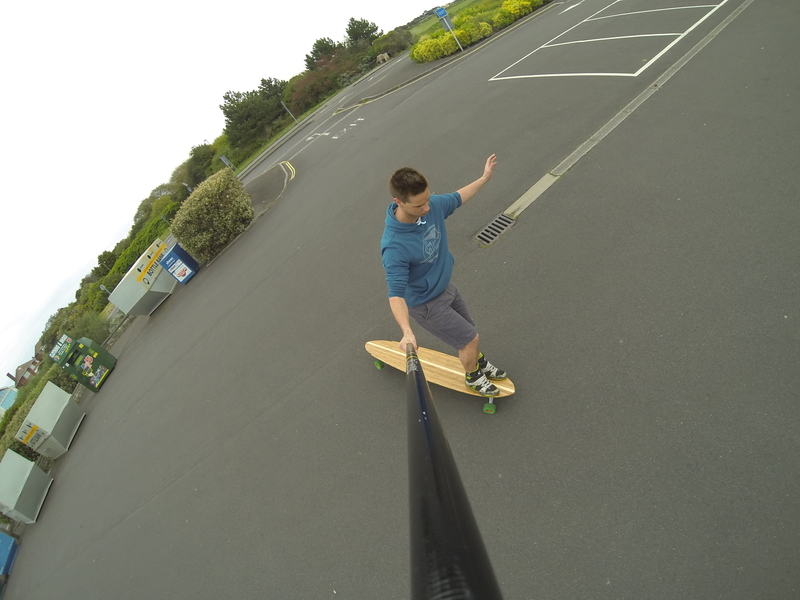 The Pinger was my preferred choice of board, with the slightly shorter length working better for street cruising in the UK. Carving is a real pleasure – all down to the powerful Original S10 trucks, actively generating speed. To go with both these boards is the Street Sweeper II – Hamboards glass fibre land paddle – featuring a unique universal joint for optimal contact with the ground. Slight flex in the shaft really helps generate power for cruising and helps with tight turns and provides a point to really lean on. 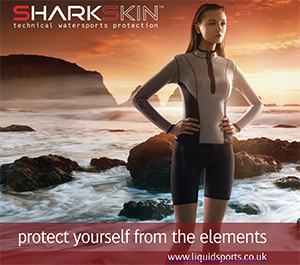 With the adjustable version coming in three sizes everyone is covered for the land SUPing experience. 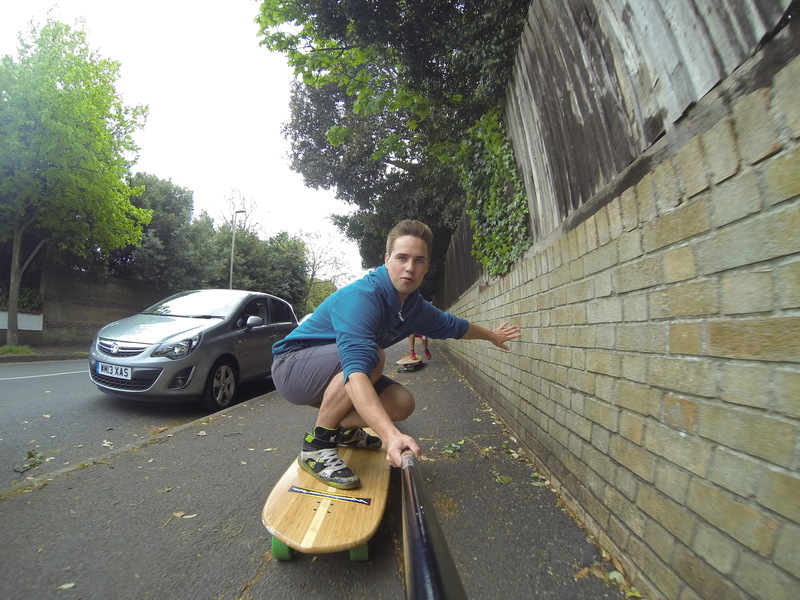 Both the Classic and Pinger are hugely exciting boards to ride. 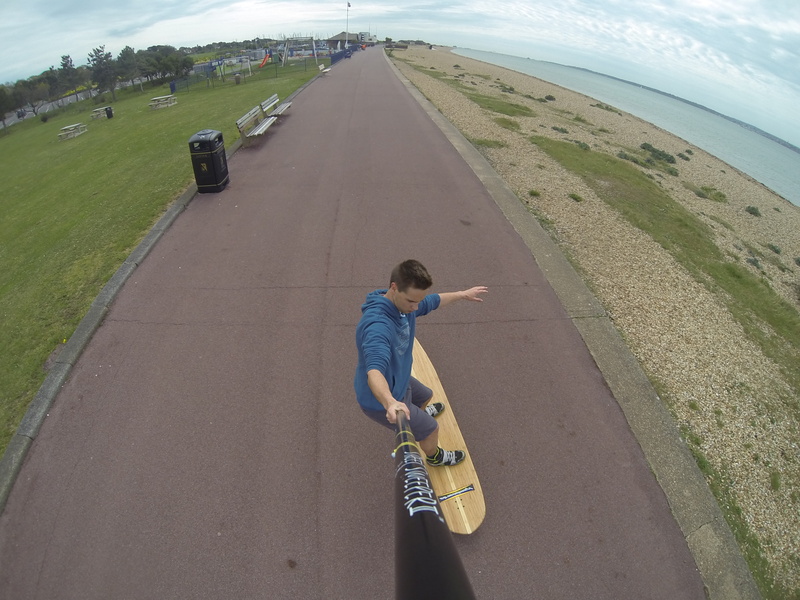 Cruising and longboard style street surfing is what these boards do best. Personal choice would be the Pinger, which boasts a slightly more challenging ride. Hamboards, however, have a board for everyone, in every style. Hi Nick. Depends on your storage situation as much as anything. If you can fit the Classic then we’d go for that as we love it!